They’ve done it again – 6 consecutive years Gold medal! Nirvana is the recipient of a Gold Medal in 2011, 2012, 2013, 2014, 2015 & 2016’s Japan Sake Awards and is the result of the passion and expertise of the Master Brewers at Yamatogawa Shuzo. 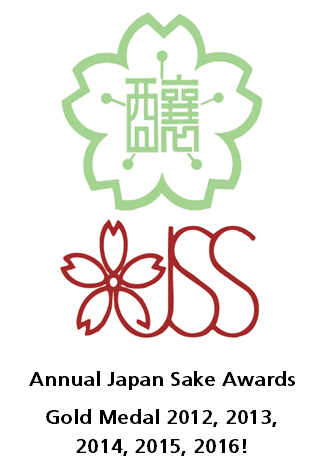 The Japan Sake Awards is the most prestigious sake awards ceremony in the world. It is jointly run every year by the National Research Institute of Brewing and the Japan Sake and Shochu Makers’ Association. Winning gold here is no mean feat and the competition is strongly contested. Nirvana has a deliciously rich, luxuriant and aromatic fragrance of watermelon and ripe cantaloupe. It is superbly smooth and well-balanced with a delicately-defined, silky texture that makes it fabulously easy to drink. Light-bodied, delicate, nuanced and alluring. Flavours are layered and complex: melon, slight pear, delicate green apple and peach. Nirvana is absolutely wonderful when enjoyed by itself; it is a sake that demands attention. Having said that it can go well with come foods – try it with delicate dishes to ensure you don’t over-power the sake. NB – Nirvana does not come packaged in the wooden box displayed in the photo. If you would like a presentation box then please add gift wrapping.